This combination ghost tour and pub crawl that will take you on a walking tour to explore the fascinating history of Seattle and hear some of its most famous and creepy haunted stories. 21+ only. A costumed guide will lead tour goers on a 2-2.5 hour journey, offering glimpses into the past and revealing the stories of long-dead phantoms and specters who still call Seattle home. 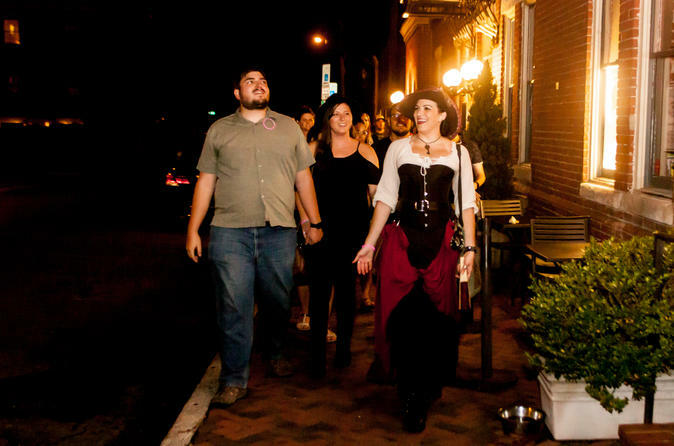 You'll visit three different bars, and have time to enjoy a delicious libation (at own expense) as the guide tells you about all the spooky happenings and great history of this amazing town! The tour begins at historic Kells Irish Restaurant & Bar, where guests will meet their costumed guide. And what better place to start our the tour than the former E.R. Butterworth and Sons Mortuary? From there, guides will take you on a journey through the alleys of Pike Place Market and hear all about its spooky happenings and ghostly residents, including Princess Angeline and the spectral victims of the nefarious Linda Hazzard. We'll visit three different bars where guests can grab a delicious “spirit” (at own expense) and listen to tales of things that go bump in the night. 21+ only. The walking tour covers approximately one mile and ends at The Pike Brewing Company.